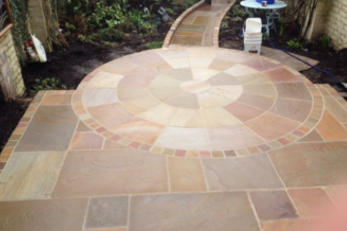 PaveCraft Ltd are qualified patio contractors and can design and lay any size patio to enhance your home to your specific requirements. 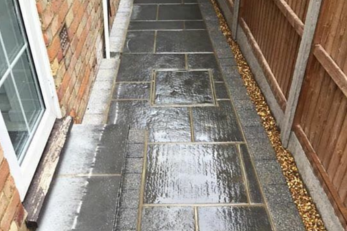 With our vast experience in the industry, PaveCraft Ltd knows what it takes to get the job done professionally and efficiently ensuring minimal upheaval to your everyday schedule. We provide a thorough service from beginning to end and use only the best quality materials. 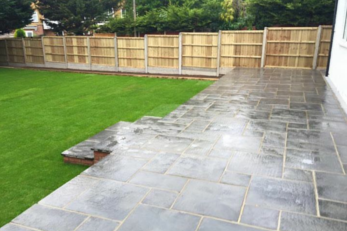 A well designed and constructed patio by PaveCraft Ltd can add substantial investment and interest to your home whether you are thinking of staying put or selling your property in the near future. Our workmanship from our family run team is second to none. Nothing looks better than a beautiful inviting patio, bringing the outside in and making your indoor space appear bigger. If it’s a modern, traditional or contemporary design you are looking for, we at PaveCraft Ltd can offer you a variety of materials, styles, textures and colours to suit your budget.